About a year ago now, I wrote a guest post for The Well Studio on how to live missionally in your community and neighborhood – maybe you remember it? I shared my heart on how easy it is to think that living life on mission must look a lot like being a missionary in a foreign country or dropping everything to be at events, meetings, or services. In reality, our God-given influence is not nearly as limited or black and white as we may sometimes think. Indeed, it’s not about where we spend our time, for everywhere can become a mission field, if we choose to make it so. If you are a parent, my guess is you love neighborhoods full of kids largely for that good old fashioned feeling of ‘built in’ friends for your kids. As is typical, my kids have experienced the coming and going of friends in the various neighborhoods we’ve lived in. Now that most of the girls around my girls’ ages have moved away from our current neighborhood, they are feeling that loss – especially my youngest, who is quite the people person. Even for kids it can be tempting to turn inward and cope with that loss of friends in a geographic radius that feels manageable in not-so-healthy ways. But I try to teach my girls it’s important to continue reaching out to new people in their own neighborhood, even as we often use the phone and car alot to make get togethers happen with their friends who live all over. I let them know God’s reasons change with the different seasons so we need to press on, ready to connect with whoever He brings across our paths with an open mind and heart – even if those new people look or act a little different than we expected they might! Did you know there are whole books written about how hard it can be to make new friends as an adult and how to make that easier? Yep – I’ve heard good things about the book Women are Scary: The Totally Awkward Adventure of Finding Mom Friends and I have no doubt there are more out there like this. It’s because, this is a thing, y’all – we just don’t talk about it very often. So many women are lonely behind closed doors – tugs at my heart something fierce just to think about. And this is exactly why we are best served by coaching ourselves the same way we would coach our kids about the awkward adventure of making new friends. It’s important to remember, this is not about the quantity of friendships, it’s about the quality. Studies show we all cope better in times of need with even one dependable person to turn to in close proximity to our home. No doubt this is just how you would hope to be there for someone else in need in your own neighborhood. So we open ourselves up to get connected with people of all ages & stages while modeling the way, so our kids see they can do the same. It’s about doing life together, and discovering all kinds of hidden blessings along the way! 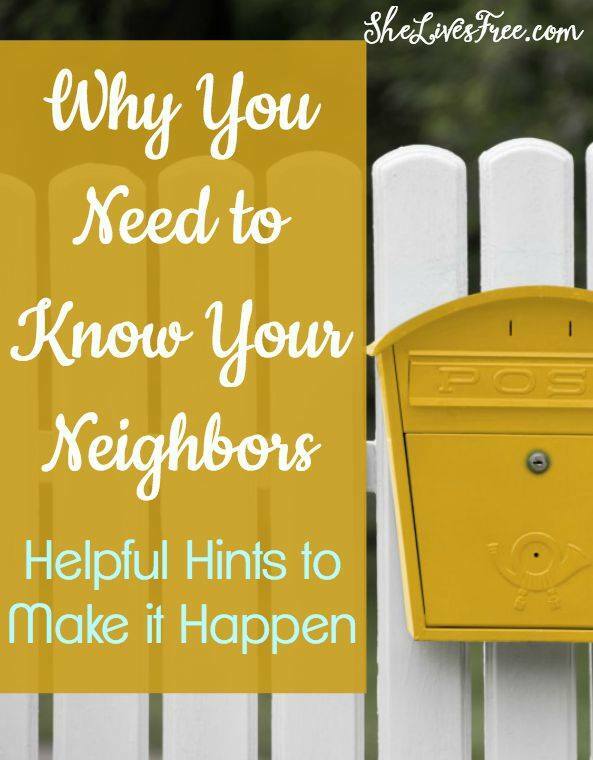 On that note – below I’m sharing an excerpt of the above mentioned article I wrote on simple ways to help make that happen, as well info on a national event happening this week to help us all get to know our neighbors! Here are five simple ideas for living life on mission right where you’re at, to meet others right where they’re at in your own community! 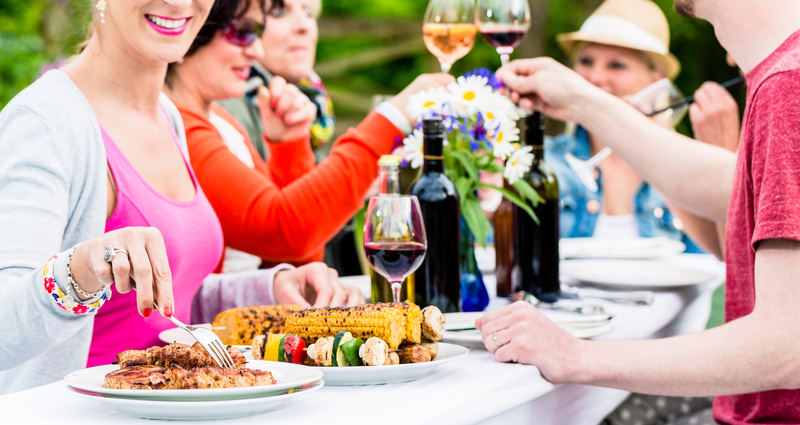 Invite neighbors to co-host a progressive dinner. Breaking bread together holds great Gospel meaning and is also a wonderful opportunity for the kind of ‘face time’ that is instrumental in relationship building. Grow a garden and share extra produce with neighbors. Sometimes the intention and time spent in the the giving can speak even louder than the gift itself. Look for those who may feel marginalized or forgotten. People who have experienced loss like death, divorce, or debilitation often feel uniquely connected with the body of Christ when remembered at times that they otherwise may be left behind because of the assumption that they don’t quite fit the dynamic of the group or situation. 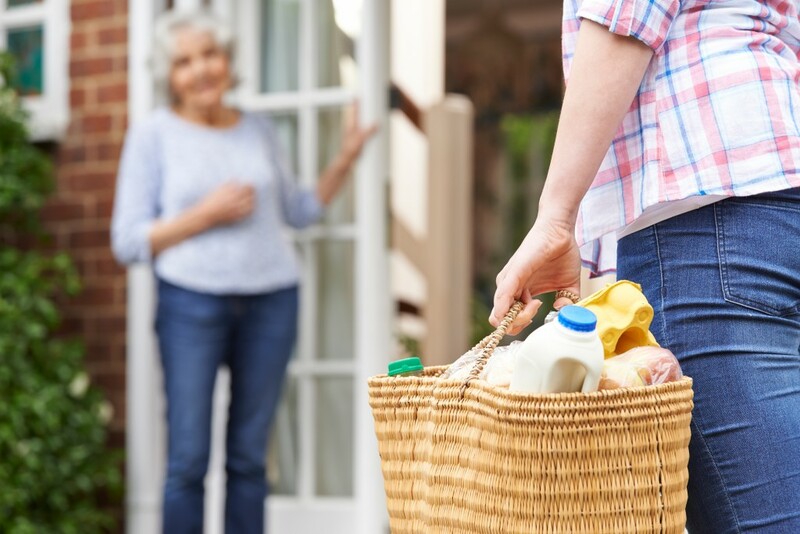 Make that dinner you’ve always wanted to share with an elderly, sick, or hurting neighbor. A great time to do this is when you’re already whipping up a batch of pasta or soup. You can simply double or triple the recipe for what you’re already cooking for your own family! Be on the lookout for children in your neighborhood who may be a part of a family without a church home. They may be friends of your children, or simply kids that you yourself have come to know. Regardless, let us recognize that it is not uncommon for parents to be receptive to allowing their kids to ride along with other families to church, even if they themselves are not open to attending. Sometimes simple routines like bringing a neighbor kid along to church on Sundays can change lives, and change families for generations to come. Click right here to read more! “Once upon a time, we kept our porch lights on. We opened the door even if we didn’t know who rang the bell. And we could always leave the back door unlocked during the day. Sybil, I love this post! When we first moved into our neighborhood, we were delighted to find that our neighbor across the street had organized an annual block party for our street. She contacted the county and obtained a permit to block the entrance and exit of our road from 4:oopm to 8:00pm on a Saturday afternoon. The roadblocks were put up, and everyone brought their gas grills down to our house and set them up on our driveway. Kids set up kiddie pools and slip ‘n slides on the front lawn, and someone put up a volleyball net on the vacant lot next door. Everyone brought a lawn chair, their meat to grill and some sides. We put it all together and had a great time getting to know each other! Many blessings to you! I LOVE this. I’ve been thinking a lot lately about how I want to be a better neighbor–I don’t want to be so busy running around town that I can’t stop and connect right where I live! When my brothers were younger, my parents used to say a prayer with them at the front door in the mornings before they walked to school. Before long, all the neighborhood kids started showing up to pray with us–it became a beautiful, simple way our family reached out. I want to find ways to connect and reach out like that in my own neighborhood now. Ooh that gave me chills to read! Thank you so much for sharing such an inspiring story! It has definitely been on my heart to get closer to my neighbors. This is a great reminder and it really opened my eyes to how doing so could really benefit me, not just “benefit” my neighbor. As a kid I was SO much closer to my neighbors than I am now. National Night Outs were one of the highlights of my summer! Very interesting feedback! Thanks Holly! I’ve been going through the She Reads Truth Hospitality devotional and it’s been challenging me in this area! I am moving in a couple months and hope that I can get to know my neighbors. Your ideas for making it happen are great! This has been on my mind so much lately! We are new to our neighborhood. My girls have already made fast friends and I would really like to know their parents! Thank you for all your ideas. You are so welcome – congrats on your new place and best wishes for a happy ever after there! Thanks. And great to see you blogging again. Glad this was helpful for you, Lux!